Lyndi knows what it’s like living without certain foods due to allergies, sensitivities, and conscience. 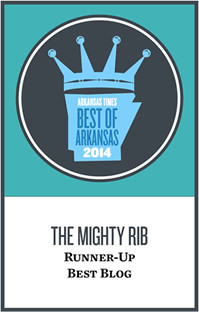 Hello you fabulous mightyrib-ers! In honor of celebrating the first day of summer, here are five foodie finds for your Friday that, well, celebrate the awesomeness of summer entertaining. And because summer is meant for traveling, today I took a little trip over here instead of posting this weekly feature on my blog, nwafoodie.com. 1. Striped linen cotton basket. My Houston bestie, Stefani, turned me on to these adorable striped linen cotton baskets. Nothing says summer more than casual whimsy and carefree entertaining. These “baskets” are made out of linen and I think they are perfect for a picnic, the back deck, or family potlucks. 2. Garden salad servers. Think of these as seasonally appropriate. Extra credit if you toss your salad with vegetables from your own garden. 3. Light ash picnic basket. Speaking of “casual whimsy and carefree entertaining,” who here doesn’t have a picnic basket yet? Can I see a show of hands? Summer called and said you need one. This one. It comes with a removable pie plate and a removable green and white gingham vinyl liner. It’s so you. 5. Rouille/spicy mayonnaise. 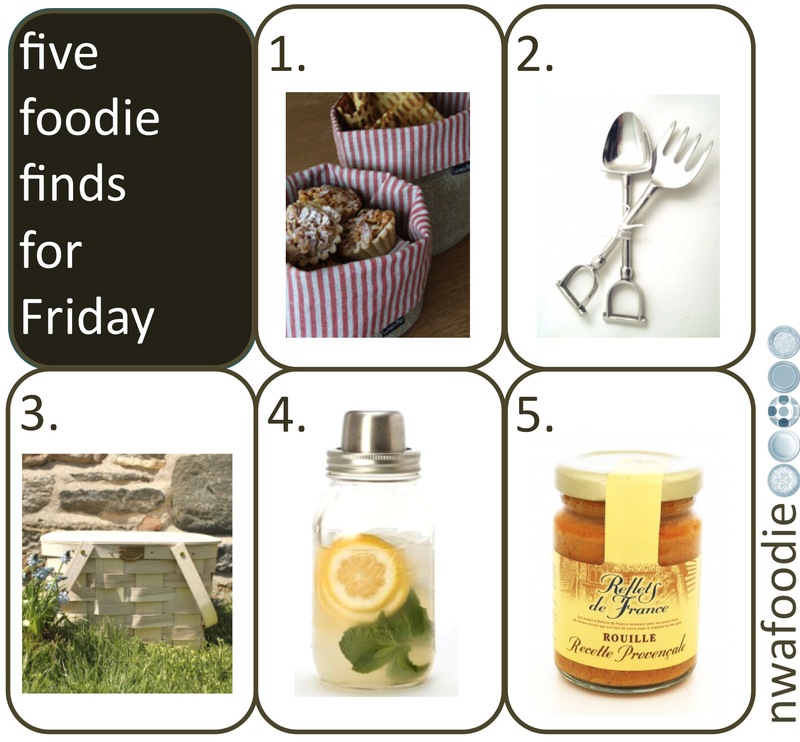 You didn’t think I would leave a five foodie finds for Friday without a food item, did you? This French mayonnaise will add a little zest and zip to your picnic sandwich and add a little accent to your grilled chicken or fish. Your friends will be so impressed. Do you have a foodie find that you would like to share? Drop me a note at nwafoodie (at) gmail (dot) com. Eat well, my friends. Eat well.